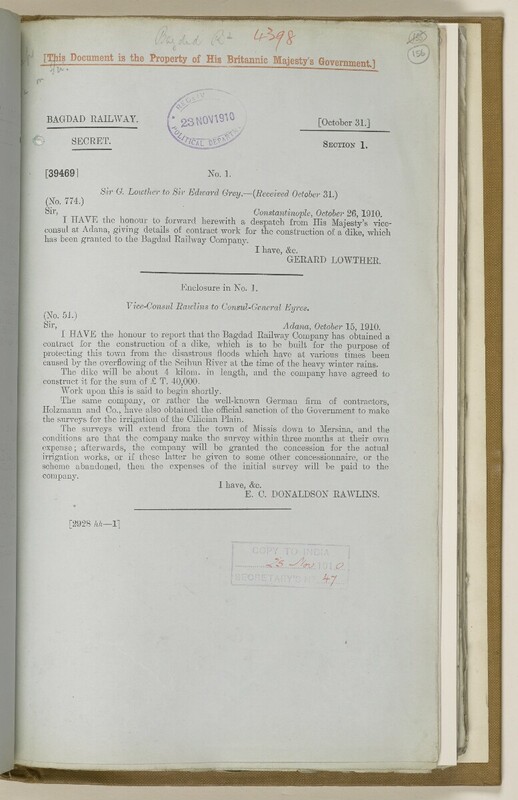 SiL , _ Constantinople, October 26, 1910.
has been granted to the Bagdad Railway Company. Sir, Adana, October 15, 1910.
caused by the overflowing of the Seihun River at the time of the heavy winter rains. construct it for the sum of £ T. 40,000. Work upon this is said to begin shortly. the surveys for the irrigation of the Cilician Plain.